The airfield is founded by David McIntyre and the Duke of Hamilton – members of No.602 City of Glasgow Auxiliary Air Force Squadron. Scottish Aviation Limited is launched. 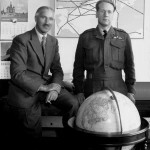 The airfield’s founders are the first aviators to fly over Mount Everest. The airfield becomes an airport with the addition of passenger facilities. World War II, the airport is used by the Royal Air Force as a military base. Passengers travel through the airport once again from 1946. Glasgow Prestwick is the only airport in Scotland offering transatlantic flights. The military returns in the form of the United States Air Force. 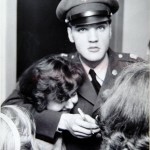 Elvis visits and makes the airport the only place where he steps foot in the UK. Aircraft design and manufacturing commences – the aerospace industrial footprint at Prestwick is formed. A new terminal building, freight building, control tower, loop road around the airport and longer runway are launched. The runway extension was implemented to serve the US Air Force – it conforms to the standard US military specification of the day. One of very few runways in the UK to do so. The airport welcomes its first jumbo jet and the prototype for Concorde makes an appearance at the 1972 Airshow. The airport is used as a training facility for Concorde pilots. 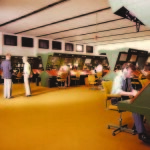 A National Air Traffic Control Centre opens to control Scottish airspace. British Aerospace Systems (BAE Systems) based at the airport, manufacturers of airplanes including Jet Streams, receive the Queen’s Award for Export Achievement. 1985 and 1986 BAE Systems establish their own flying college at the airport. The airport welcomes low cost airline Ryanair – which has grown to become the world’s largest airline by passenger numbers. Prestwick International Aerospace Park opens – enabling Prestwick to maintain its position as a major aircraft servicing and engineering base. The airport hits 2.5 million passengers per annum and its cargo and military customer base continues to grow. 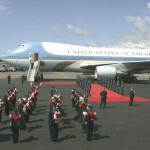 The airport welcomes world leaders for the 31st G8 summit. Spirit AeroSystems (Europe) Limited is established in Prestwick. Spirit Europe is one of the largest airframe suppliers to Airbus and is a key supplier of major wing structures for Airbus and Boeing programs. 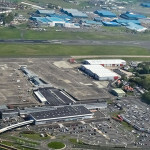 The airport is owned by the Scottish Government, who see the facility as an important infrastructure asset that helps to support in excess of 4,000 jobs in the west of Scotland. It’s the heart of Scotland’s aerospace industry, with over 50% of the country’s aerospace workforce employed at Prestwick, offering a diverse range of aviation services and providing vital connections to the rest of the world.